Professor Scott Koslow researches advertising creativity and strategy, and also consumer behaviour and marketing research methods. His research has appeared in premier marketing journals like the Journal of the Academy of Marketing Science (JAMS), Journal of Advertising (JA), Journal of Advertising Research (JAR) and the Journal of Consumer Research (JCR). He serves on the review boards of JAMS and JAR, and has served as special issue editor of JA. Twice he has won JAMS' Best Reviewer Award under two different editors. He has also been the winner, runner up, and nominated for JA's Best Article Award for three different articles. Scott received his PhD from the University of Southern California and he has taught at the University of Texas, the University of Michigan and most recently at the University of Waikato, New Zealand's number one ranked business school based on PBRF rankings (NZ's version of ERA). He has also been an academic visitor at Imperial College London, New York University, Baruch College of the City University of New York, and Wayne State University in Detroit, Michigan. Scott also has consulted widely for firms like Toyota, General Motors, Neilsen, K-Mart, and major organisations in the electricity supply industry and food marketing area. Scott has also worked with most of the major advertising agencies brands like: BBDO, BBH, Bates, Bozell, Campbell-Ewald, Carlson, D'Arcy, DDB, DLKW, Doner, Euro RSCG, FCB, Gotham, Grey, Interone, JWT, Leo Burnett, Lowe, M&C Saatchi, McCann, Meridian, Mother, Ogilvy & Mather, Publicis, Saatchi & Saatchi, Wieden+Kennedy, Whybin TBWA, Y&R and others. O'Connor, Huw, Scott Koslow, Mark Kilgour and Sheila L. Sasser (forthcoming), "Structural Drivers of Creativity: When Less is More…, or Less," Journal of Advertising Research. O'Connor, Huw, Scott Koslow, Mark Kilgour and Sheila Sasser, (2016), "Do Marketing Clients Really Get the Advertising They Deserve? The Trade-Off between Strategy and Originality in Australian and New Zealand Agencies," Journal of Advertising, 45 (1), 147-155. Sasser, Sheila L., Mark Kilgour and Scott Koslow (forthcoming), "Breaking through Creativity Barriers: When Is Highly Creative Advertising Really Needed?" Journal of Advertising Research. Koslow, Scott and Gerard J. Tellis (2011), "What Scanner-Panel Data Tell Us about Advertising: A Detective Story with a Dark Twist," Journal of Advertising Research, 50th anniversary special issue. Koslow, Scott and Carolyn C. Costley (2010), "How Consumer Heterogeneity Muddles the International Advertising Debate," International Journal of Advertising, 29 (2), 221-244. Kilgour, Mark and Scott Koslow (2009), "Why and How Do Creative Thinking Techniques Work? : Trading Off Originality and Appropriateness to Make More Creative Advertising," Journal of the Academy of Marketing Science, 37 (3), 298-309. Sheila L. Sasser and Scott Koslow (2008), "Desperately Seeking Advertising Creativity: Engaging an Imaginative 3 P's Research Agenda," Journal of Advertising, 37 (Winter), 5-19. Nominated for Best Article Award. Koslow, Scott, Sheila Sasser and Edward A. Riordan (2003), "What Is Creative to Whom and Why? : Perceptions in Advertising Agencies," Journal of Advertising Research, 43 (March), 96-110. Koslow, Scott (2000), "Can the Truth Hurt? : How Honest and Persuasive Advertising Can Unintentionally Lead to Increased Consumer Skepticism," The Journal of Consumer Affairs, 34 (Winter), 245-268. Koslow, Scott, Prem N Shamdasani, and Ellen E Touchstone (1994), "Exploring Language Effects in Ethnic Advertising: A Sociolinguistic Perspective," Journal of Consumer Research, 20 (March), 575-585. Stewart, David W. and Scott Koslow (1989), "Executional Factors and Advertising Effectiveness: A Replication," Journal of Advertising, 18 (3), 21-32. Winner, Best Article Award. The majority of Scott's research has been in advertising, but he has broad interests in other areas. He also works in consumer behaviour, international marketing, marketing strategy, and retailing. He is also interested in psychology, organisational behaviour and cross cultural issues. In 2013, Scott has been appointed as Associate Editor of the Journal of Advertising. Special issue editor, Journal of Advertising, 2008, special issue on 'Creativity Research in Advertising'. 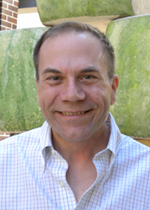 Scott also reviews approximately 50 manuscripts per year and serves on the review boards of several journals. Scott is also a regular delegate at the Cannes International Advertising Festival, the premier advertising creativity festival in the world.